Chickweed cream is a custom-made cream made by our naturopath. Arguably the best natural anti-itch cream, chickweed is a strong natural treatment for getting relief from skin inflammation and itching caused due to eczema, allergy, bites, stings, nappy rash and dermatitis. 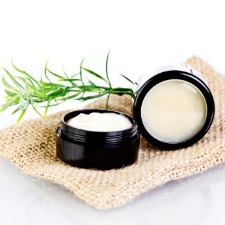 This mild cream is a good source of Vitamin C and is well known for its cooing properties of soothing the skin. It is used for getting relief from minor burns, lesions, acne, wounds, eczema, insect bites, psoriasis and gout. It is excellent cream that casts cooling and drying effects on wounds and skin eruptions. It is anti-inflammatory, helping soothe itchy, irritated sun burnt skin. Cream is gentle enough to use on your face as a non-irritating moisturizer especially if you have sensitive skin (such as tendency to eczema and dermatitis). Our chickweed cream contains chickweed extract in a vegetable cream base. Chickweed is traditionally known to relieve skin inflammation and itch due to eczema, allergy, bites, stings, nappy rash and dermatitis. This cream is moisturising and soothing when applied to dry, sensitive or itchy skin.